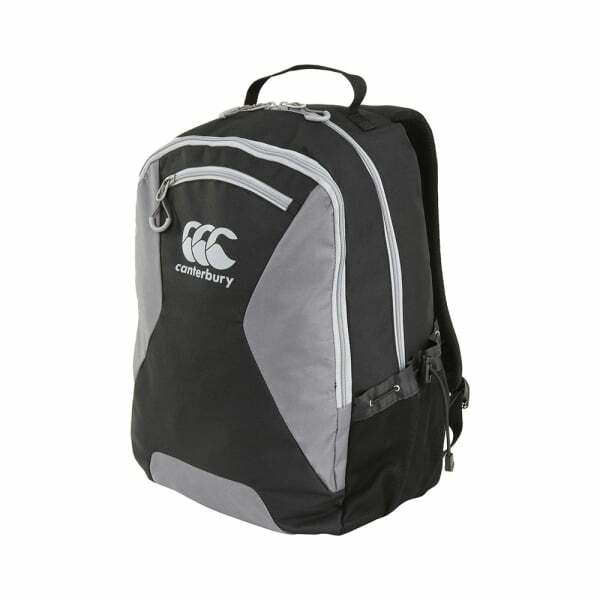 In line with the Canterbury tradition of using cutting-edge fabric technologies in sport-inspired lifestyle products, this backpack is designed for transporting athletic gear as well for as being suited for everyday usage. Featuring a 100% Polyester 600D PVC coating, this durable yet compact backpack comes with an attractive airmesh back panel and ergonomic shoulder straps so you can carry your gear in comfort and style. With a phone pocket, laptop sleeve, zipped compartments, zip front pocket, and side mesh pockets, this all-purpose carrier provides you with all your storage needs, whether you’re on your way to the gym or heading to the café with mates after a workout. The CCC jacquard webbing reflects the superior quality of this backpack and ensures you won’t be missed as member of the Canterbury community.